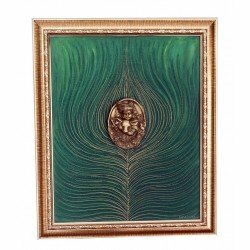 Usually delivered within 12-15 days. 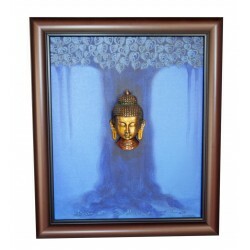 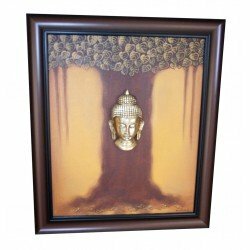 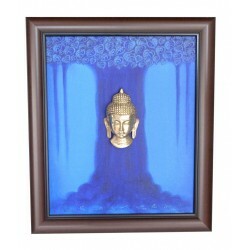 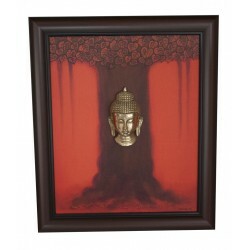 The artist uses his imagination beautifully to depict the picture of Lord Buddha under the Bodhi tree. 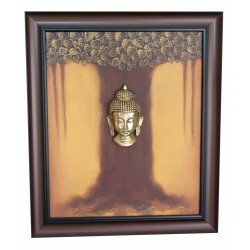 It is said that Buddha, is said to have attained enlightenment under the Bodhi tree. 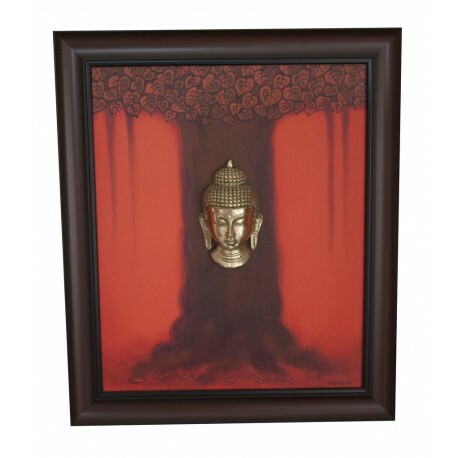 The artist has drawn the tree and used a brass figurine/ brass Buddha head to show Buddha in a meditating position. 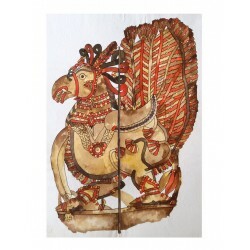 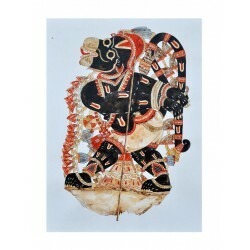 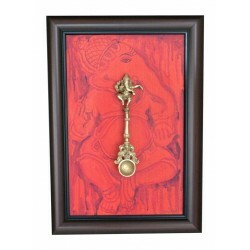 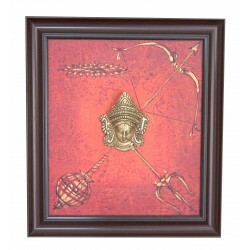 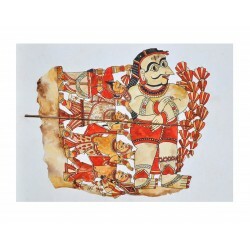 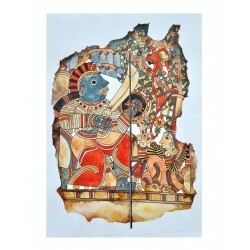 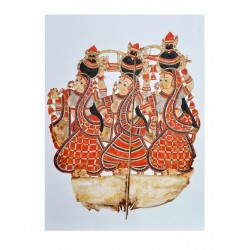 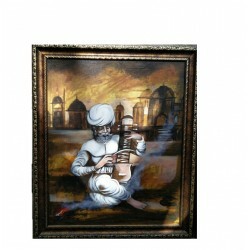 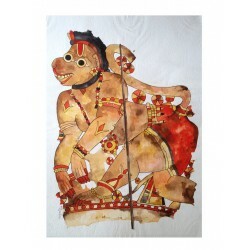 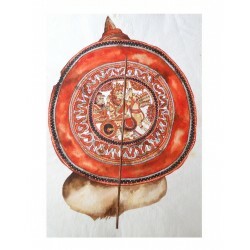 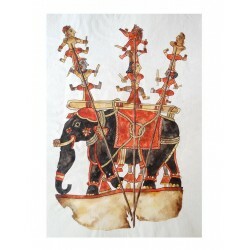 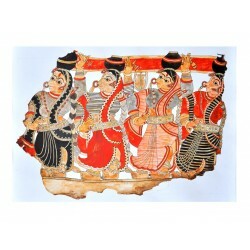 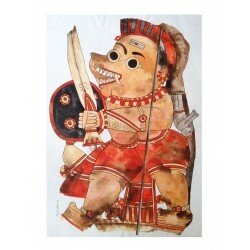 The combination of acrylic colours with brass figure on canvas looks absolutely stunning. 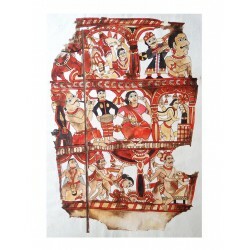 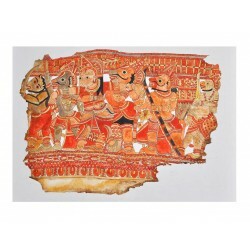 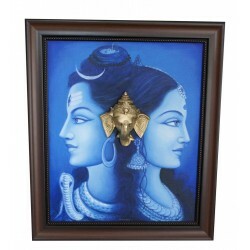 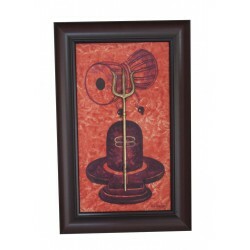 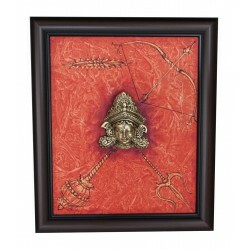 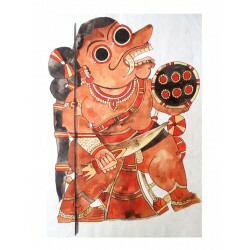 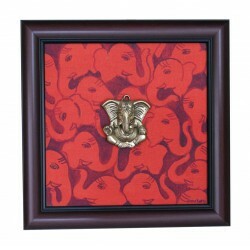 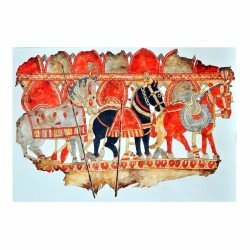 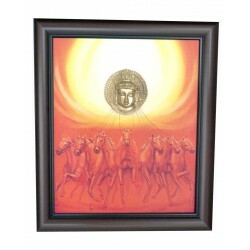 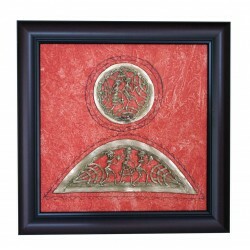 This painting comes with a wooden frame without glass.